Singlet oxygen as an activated oxygen species played an important role in organic synthesis. Suitable catalyst for converting ubiquitous oxygen molecule to singlet oxygen under mild conditions has attracted a wide range of attention. Herein, carbon dots have been confined into mesopores of silicalite-1 nanocrystals framework and acted as active sites for generation of singlet oxygen. The high oxygen-adsorption capacity of zeolite nanocrystals facilitated the photocatalytic generation rate of singlet oxygen, outpacing the free-standing carbon dots for 14-fold. The integrated carbon dot-zeolite nanocrystal hybrid also exhibited a special size-dependent selectivity for organic synthesis by using the in situ formed and confined singlet oxygen as active oxygen species. Supplementary material is available for this article at https://doi.org/10.1007/s11426-018-9417-4 and is accessible for authorized users. This work was supported by the National Natural Science Foundation of China (21720102002, 21722103, 21673140), Shanghai Basic Research Program (16JC1401600), SJTU-MPI partner group, Shanghai Eastern Scholar Program and Shanghai Rising-Star Program (16QA1402100). 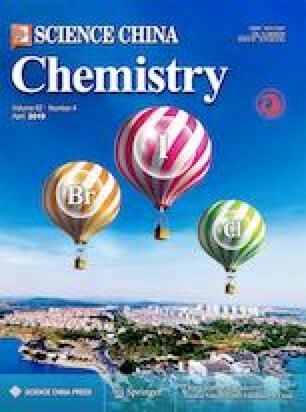 We thank Prof. Huan-Ming Xiong and his coworkers (Department of Chemistry, Fudan University, Shanghai 200433, China) for providing CD for this study.